On June 19th, the United States Senate, by voice vote, confirmed Cathy Zoi to be the Assistant Secretary for Energy Efficiency and Renewable Energy. 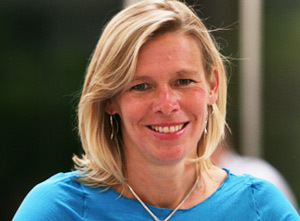 Cathy Zoi, CEO of Al Gore’s Alliance for Climate Protection, will now serve as Assistant Secretary for Energy Efficiency & Renewable Energy (EERE) under Energy Secretary Steven Chu. Zoi has a unique combination of expertise in clean energy and high level federal government experience — she was Chief of Staff in the Clinton White House Office on Environmental Policy, managing the staff working on environmental and energy issues (recent writing below). Since I have known Zoi for nearly 2 decades and since in 1997 I held the job she is now nominated for, I can personally attest she will be able to hit the ground running in the crucial job of overseeing the vast majority of the development and deployment of plausible climate solutions technology. What does EERE do? You could spend hours on their website, here, exploring everything they are into. Of the 12 to 14 most plausible wedges the world needs to stabilize at 350 to 450 ppm — the full global warming solution — EERE is the principal federal agency for working with businesses to develop and deploy the technology for 11 of them! The stimulus and the 2009 budget dramatically increases — more than doubles — EERE funding for technology development and deployment. Zoi’s most important job is deployment, deployment, deployment. And again she is a uniquely qualified to get clean energy into the marketplace. Zoi was a manager at the US Environmental Protection Agency where “she pioneered the Energy Star Program,” which was the pioneering energy efficiency deployment program launched in the early 1990s. Many Americans have a hard time thinking about our energy future, largely because their energy present is so challenging. With gasoline prices hovering near $4 per gallon and rising energy bills at home and at work, our economy is struggling with the burden of imported oil and reliance on fossil fuels. The need to satisfy the nation’s oil appetite has shaped our foreign and defense postures, and is a primary reason for our current entanglements overseas. Extreme weather here in the U.S. has us feeling uneasy. And the scientists remind us more urgently every week about the mounting manifestations of the climate crisis. To solve these problems, we must repower our economy. Fast. Vice President Gore has issued a challenge for us to do just that: Generate 100% of America’s electricity from truly clean sources that do not contribute to global warming — and do so within 10 years. It is an ambitious but attainable goal. American workers, businesses and families are up to it. Meeting the challenge to repower America will deliver the affordability, stability and confidence our economy needs, as well as a healthy environment. And it will generate millions of good American jobs that can’t be outsourced. It will involve simultaneous work on three fronts. First, get the most out of the energy we currently produce. Second, quickly deploy the clean energy technologies that we already know can work. Third, create a new integrated electricity grid to deliver power from where it is generated to where people live. The first front involves energy efficiency. The potential here is vast and largely untapped. Now is the time to begin a comprehensive national energy upgrade that will reduce the energy bills of homeowners and businesses — even as costs of energy supplies may be on the rise. The second front requires expanding the use of existing generation technologies. This will include accelerated growth in our wind energy industry. We have a strong running start — the U.S. was the leading installer of wind technology last year. Texas oilman T. Boone Pickens says we can get at least 20 percent of America’s electricity from wind power. We think he’s right. Solar thermal power is also booming and poised for rapid acceleration. The resource potential is so vast that a series of collectors in the American southwest totaling just 92 miles on a side could power our entire electricity system. Utilities in Arizona, Nevada, and California have already begun to tap this potential, with plans for powering nearly one million homes underway. Advances in thermal storage technologies, along with investments in our grid, mean that solar thermal power will be able to provide electricity at night, like coal power does today. Nuclear and hydroelectric power facilities currently combine to contribute roughly 25% of America’s electricity. That will continue. Coal and natural gas can also play a significant role by capturing and storing their carbon emissions safely. Our hope is that this CCS emissions technology can be developed and commercialized quickly. Without it, coal isn’t “clean.” There are reportedly a few CCS plants now proposed in the U.S., although another roughly 70 proposed coal plants have no such plans to capture their carbon pollution. The third front is the creation of a unified national electricity grid. A “super smart grid” will form the backbone and the entire skeleton of our modern power system. Efficient high voltage lines will move power from remote, resource-rich areas to places where power is consumed. It will also allow households to make money by automatically using energy at the cheapest times and selling electricity back to the grid when a surplus is available can. A smart meter spins both ways. Meeting this 100% clean power challenge will require a one-time capital investment in new infrastructure, with the bulk of funding coming from private finance. If policies reward reducing global warming pollution, private capital will flow towards clean energy solutions. But the most important cost figures to consider may be the ones we’ll avoid. American utilities will spend roughly $100 billion this year on coal and natural gas to fuel power plants. And more next year and the year after that — until we make the switch to renewable fuels that are free and limitless. The 10-year time frame is key. The science, the economic pressures and our national security concerns demand swift, concerted action. The best climate scientists tell us we must make rapid progress to turn the corner on global carbon emissions or the ecological consequences will be irreversible. The solutions are available now — there are no technology or material impediments. Failing to move swiftly will deprive the U.S. economy of earnings from one of the fastest growing technology sectors in the world. We’ve done this before. We mobilized the auto industry in 12 months to service the hardware needs of WWII. The Marshall Plan to reconstruct Europe was executed in four years. And as Vice President Gore pointed out, we reached the moon in eight years, not ten. Declaring it a record total, PG&E on Wednesday announced an expansion of solar-power contracts with Oakland’s BrightSource Energy for a total of 1,310 megawatts of electricity — enough to power 530,000 California homes. The power purchase agreements, which will now include seven power plants, add to a previous contract the two companies struck in April 2008 for up to 900 megawatts of solar thermal power. BrightSource called it the largest solar deal ever. The company now has 2,610 megawatts under contract, which it said is more than any other solar thermal company and represents more than 40 percent of all large-scale solar thermal contracts in the United States. John Woolard, chief executive of BrightSource Energy, said the additional contracts came about after BrightSource demonstrated its technology in Israel with results that were “at or above all the specifications. It proved to them that our technology works,” Woolard said. 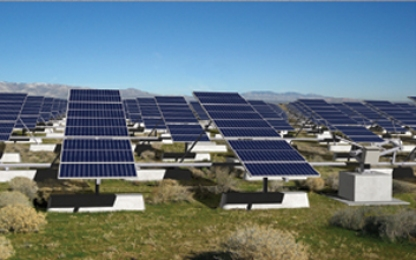 “They saw us executing and delivering” efficient production of solar energy. 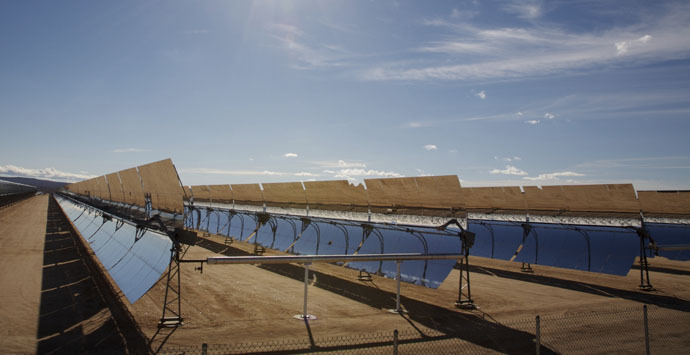 BrightSource, which designs, builds and operates solar thermal plants, will construct the plants at a cost of at least $3 billion in the southwestern deserts of California, Nevada and Arizona. 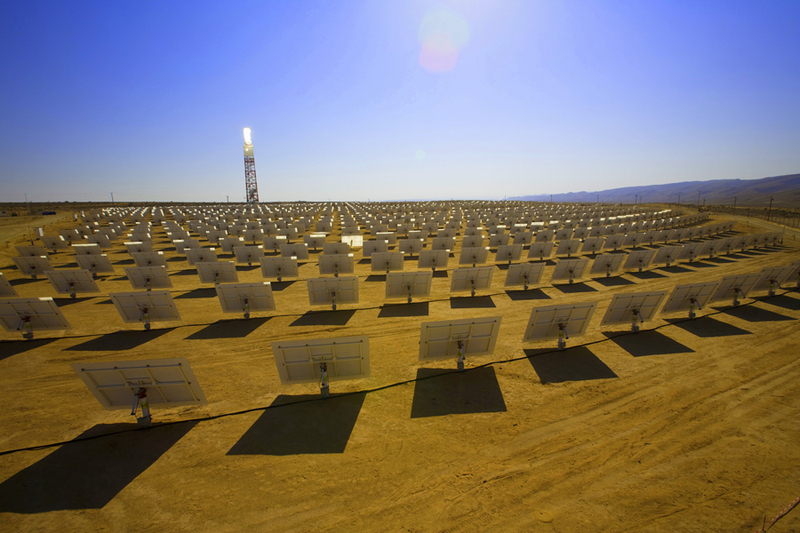 The company anticipates the first plant, a 110-megawatt facility at Ivanpah in eastern San Bernardino County, to begin operation by 2012. Its technology uses sunlight reflected from thousands of movable mirrors to boil water to make steam. The steam then drives a turbine to generate electricity. BrightSource founder and Chairman Arnold Goldman’s previous company, Luz International, built nine solar plants in the Mojave Desert between 1984 and 1990, all of which are still operating. In March, BrightSource reached an agreement with Southern California Edison to purchase 1,300 megawatts, then the largest solar contract ever, BrightSource said. Investor-owned California utilities such as PG&E are required to get 20% of their power from renewable sources by 2010, or to by then have contracts for power from projects that go online by 2013. PG&E already has contracts in hand that exceed that 20% goal. PG&E generates 12% of its energy from renewable sources now, and expects that to increase to 14% by the end of the year. Honolulu-based Sopogy announced last week that it will build a 50-megawatt system in Toledo, Spain, using its proprietary technology in partnership with a German energy financier and a Spanish project developer. The system could generate enough electricity to power 15,000 homes.